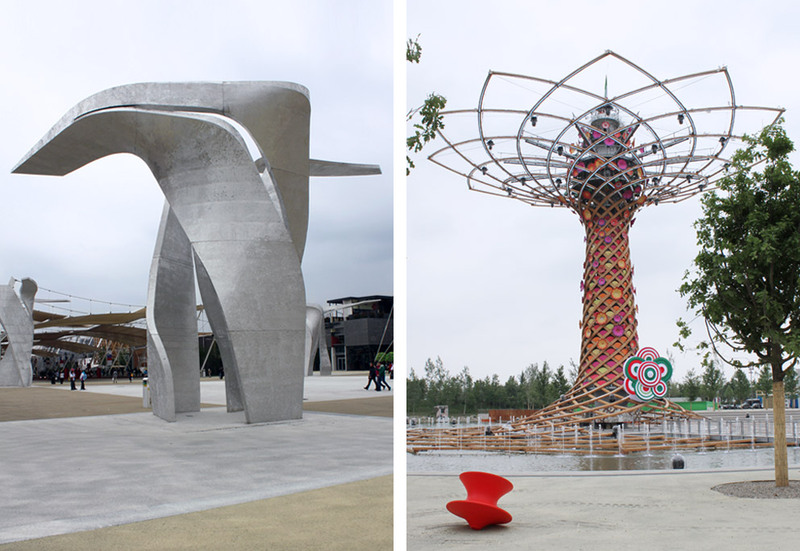 There were endless reports on the Milan Expo ahead of the event, covering just about anything conceivable: corruption scandals, financial disasters, architectural catastrophes. And doubts were expressed as to whether we even need world expos nowadays anyway, as everyone is networked via the Web and business is completely globalized. One can at least object that precisely in the digital age physical encounters are more important than ever. 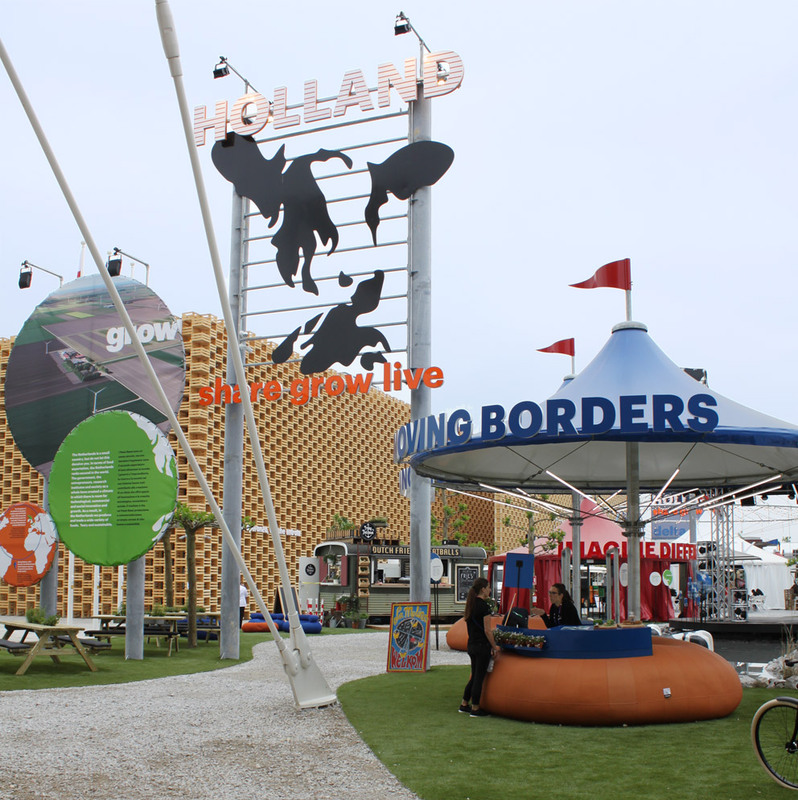 Switching from one country to another in only a few minutes is easy on Expo grounds that are not huge, and while you can do that with Google Earth too, the experience does not involve as many senses – here, the feel is that of digital culture in real space. And the topic of “Feeding the Planet, Energy for Life” sounds almost too good to be true. So under the aegis of the event agencies and trade-fair architects, what has become of projects and emotions that point to a better future? 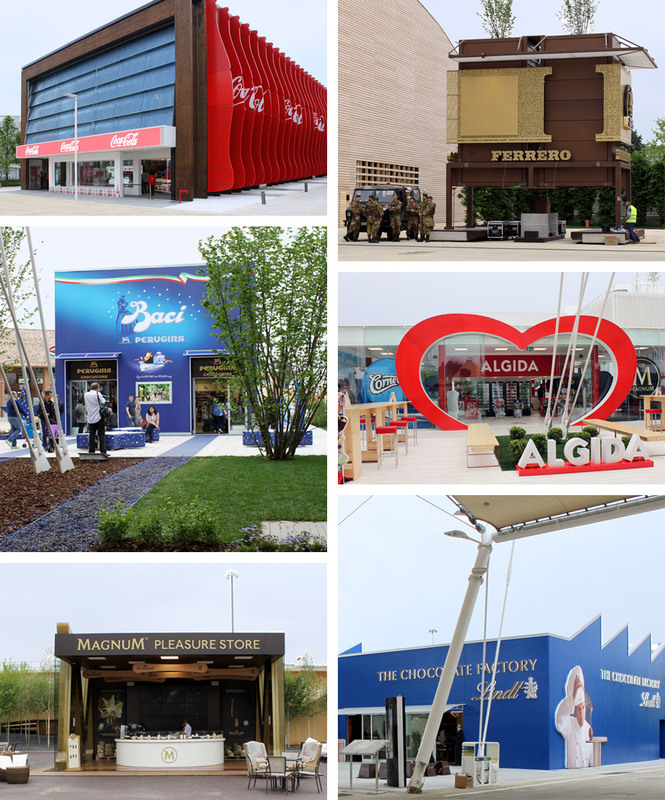 What do all the themed spaces and brand presentations with all the “Edutainment” actually show? Let’s start our tour of the Expo grounds in the German Pavilion. There, “brand architects” Schmidhuber have created an image of Germany: The pavilion is meant to convey not blossoming countryside, but a field of ideas. Nonetheless you actually find yourself on an (at times draughty) wooden promenade on which plant tubs, Astroturf, futurist sunshades and cardboard standups for the federal states stand around somewhat unimaginatively. Together with the bandstand shell the pavilion is somehow reminiscent of a seaside attraction on the Baltic Sea, whose best days are possibly way back when. It would seem here as if the pavilion, which is dressed in a variety of beige tones, subtly reflects Germany’s demographic trends. Given so much design/imaginative realism, all that is lacking would seem to be Ottmar Hörl’s little Unification Man, but perhaps he’s already heading for Milan. Blossoming countryside is not lacking in Milan, however. At the British Pavilion, for example. Created by artist Wolfgang Buttress it is devoted to bees. At the end of the long plot of land, filled with flowers and trees, a metal cluster of bees towers up. 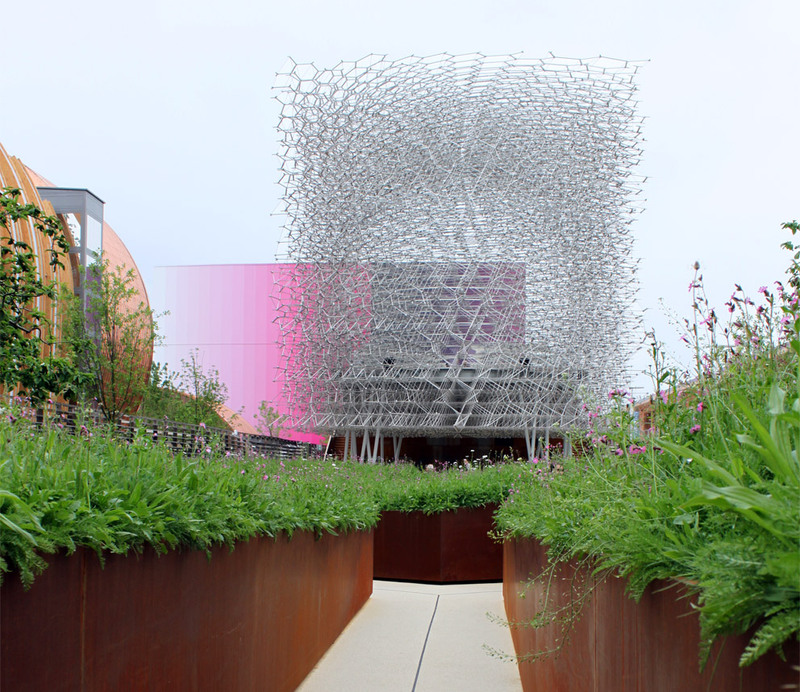 The whizzing and buzzing structure, which may remind the one or other visitor vaguely of Thomas Heatherwick’s British Pavilion at the 2010 Shanghai Expo, is linked to a beehive in England. Digitally, of course: Depending on how active the busy insects are over on the island, the light and the sounds in the pavilion change. The intention: to focus attention on the bees and show how their population has been decimated by monocultures and the use of pesticides. It will become difficult to grow food without bees to pollinate the blooms. Country-specific dishes tend to be served in each and every pavilion, which is why the entire Expo grounds are constantly shrouded in an undefinable smell of food. The Dutch have taken the Expo theme quite literally. Instead of some shout-in-your-face installation, entitled “Share, Grow, Live” they have simply created a joyous line of food stalls. Be it as it may whether this is irony or actually a seriously minded national presentation, the leisurely sense of gluttony here certainly rivals the corporate food booths on the Expo. From fast food to slow food: At the end of the Expo grounds stand the last remnants of Jacques Herzog’s concept for the World Expo. 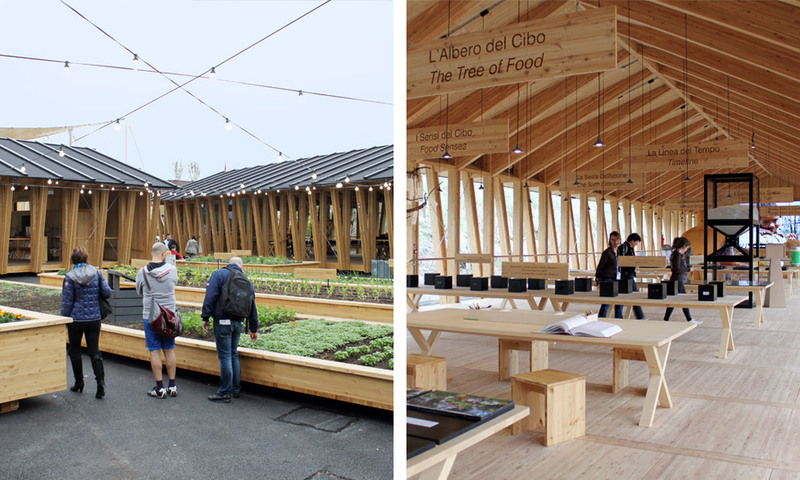 Namely the Slow Food Pavilion, exuding the flair of an teaching flowerbed in a Montessori kindergarten and so preachy-teachy that you soon forget any joy a good meal might bring. For all the global cultures of taste, Expos need one thing for sure: folklore. Either perfectly quoted or in new clothes – the spectrum is great. Hungary has erected an outsized wine barrel, Oman has true to form placed a caravanserai on the ground in Milan. Qatar conjures up a magnificent emir’s palace, and China praises the country’s remaining natural beauty spots on a piece of wall. Slovenia expects you to dance, while Turkmenistan receives its guests on carpets on the ground. No tourism fair could beat this. 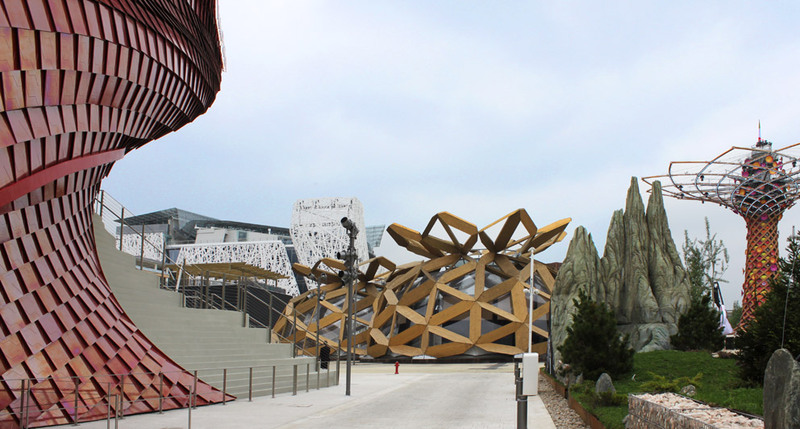 The red-scaled Vanke pavilion (the largest real estate company in China) may prompt you to mistake its origins: What looks like a building by Frank Gehry was actually created by Daniel Libeskind. 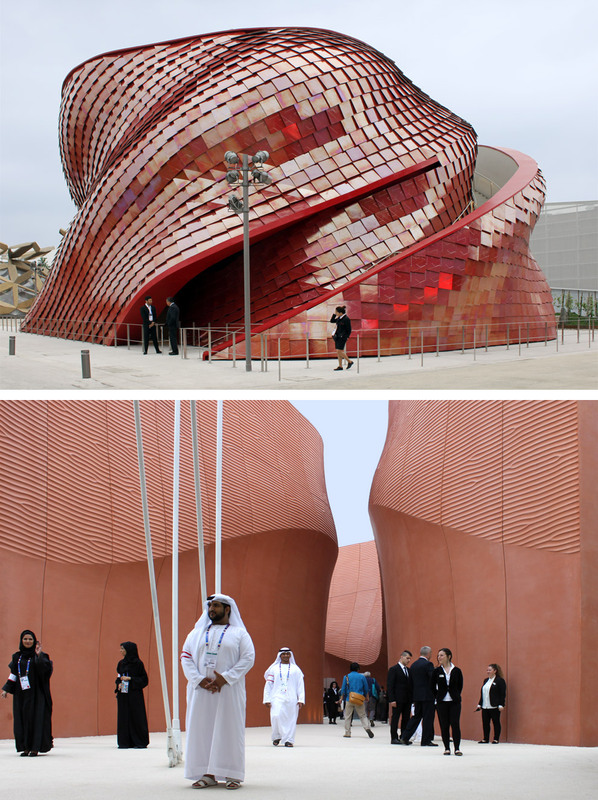 And Lord Norman Foster eschewed glass and steel and used red concrete to produce a wadi for the United Arab Emirates. And that was just about all. Trees of life and smart-city dreams: Libeskind has been active not just on behalf of Vanke, but of Siemens, too. Turn to the press release to find out what the LED-&-steel sculptures on Piazza Italia are meant to represent, as it’s easy to miss the point when passing by: "They will animate Piazza Italia, producing a steady stream of sounds, images and pulsating forms, all inspired by the technology trends of the future. Ranging from the digital factory to sustainable energy and to intelligent infrastructure, they are an ideal combination of art and technology.“ By contrast, the “Tree of Life” is pure Italy, its “crown” inspired by Michelangelo’s “Capitoline Hill”, Piazza del Campidoglio in Rome, and its lighting display attracts people to the pool of water round the base of the tree. Poor old Michelangelo. 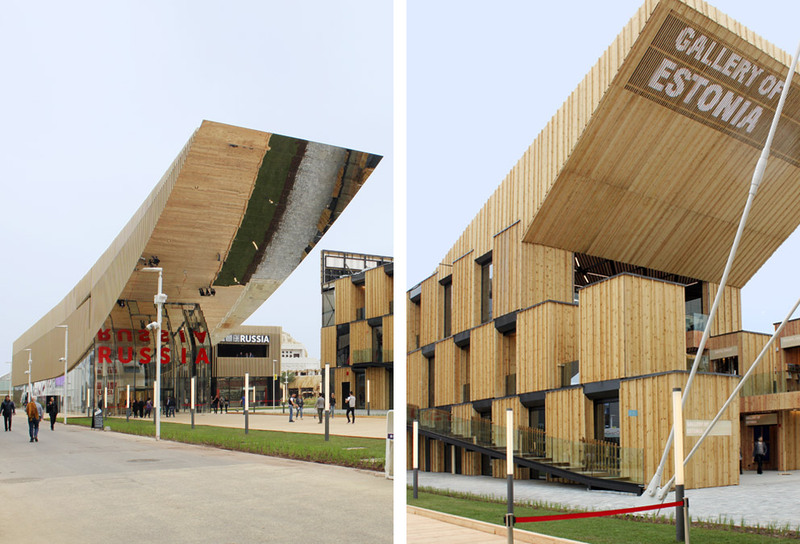 You’ll need to look twice at the Russian and Estonian Pavilions as they both boast a similarly dynamic awning. Could the Russians have imposed the architecture on the Estonians? Or do the two countries wish to demonstrate their bonds? After all, the Russians decently take a back seat and leave Estonia in the limelight. Well, we can speculate as to the reasons. 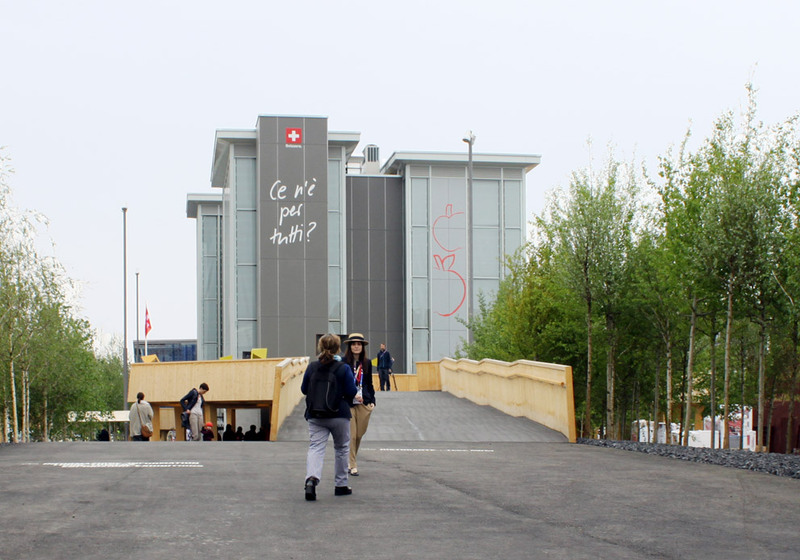 The Swiss Pavilion has also been placed in the background. Instead of directly welcoming visitors on the boulevard the way most of the pavilions to the left and right of the main spine do, here you have to walk up a dire black-topped path to reach the pavilion. Not that you will, because from afar the Swiss Pavilion resembles some tedious down-market hotel that could just as well be located along an interstate somewhere. So rub your eyes in surprise. 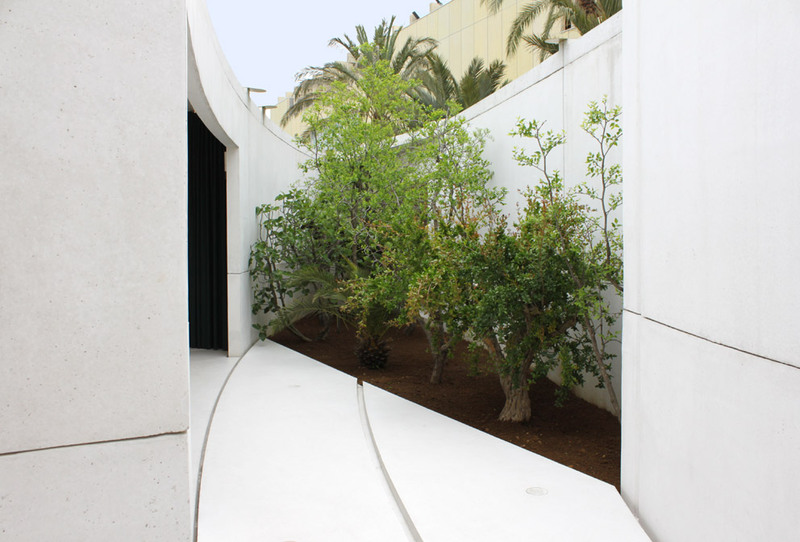 Anyone who missed the customary Swiss precise, velvet-smooth concrete can simply let their hands glide over it in the small Bahrain Pavilion – quite white, quite smooth. The decidedly refined and elegant pavilion is an oasis for any aesthete and pleasantly free of any superfluous preaching. You may find yourself longing to be gifted the pavilion at the end of the Expo, as it would be a dream to live and wander about in, open-mouthed in awe. The Austrians have come down from their mountains and technologized nature – to create one of the few truly successful pavilions at the Expo. 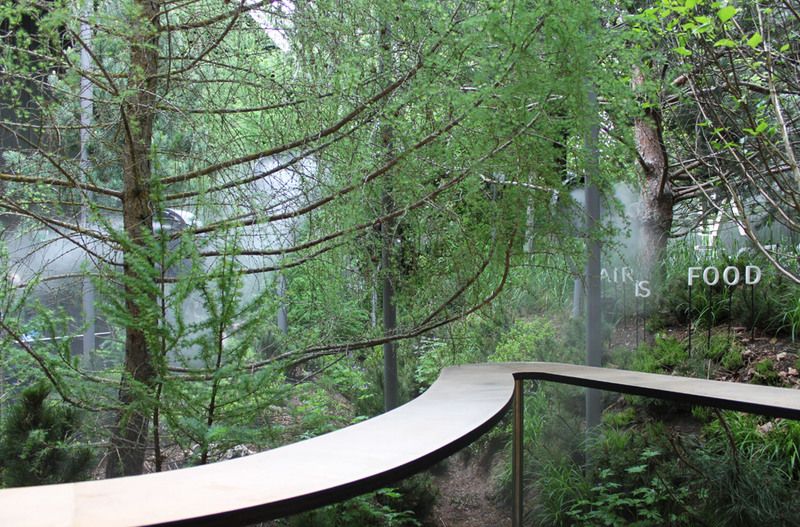 Instead of top-heavy educational trails and hectic media installations, you meander through a marvelously refreshing and fragrant mixed forest, and its microclimate is quite unlike anything else at the Milan Expo grounds. Here, it’s not food that is foregrounded, but the air we breathe – as the title “Breath Austria” already intimates. 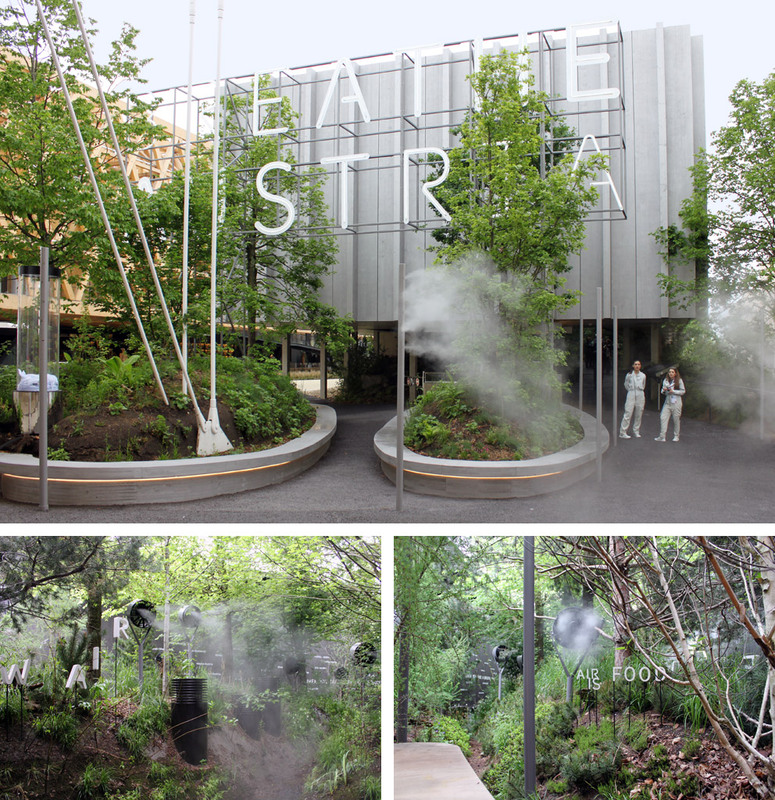 Each hour, the pavilion produces enough oxygen for about 1,800 people, architect Klaus Loenhart explains. What seems natural is an ingenious ventilation system. 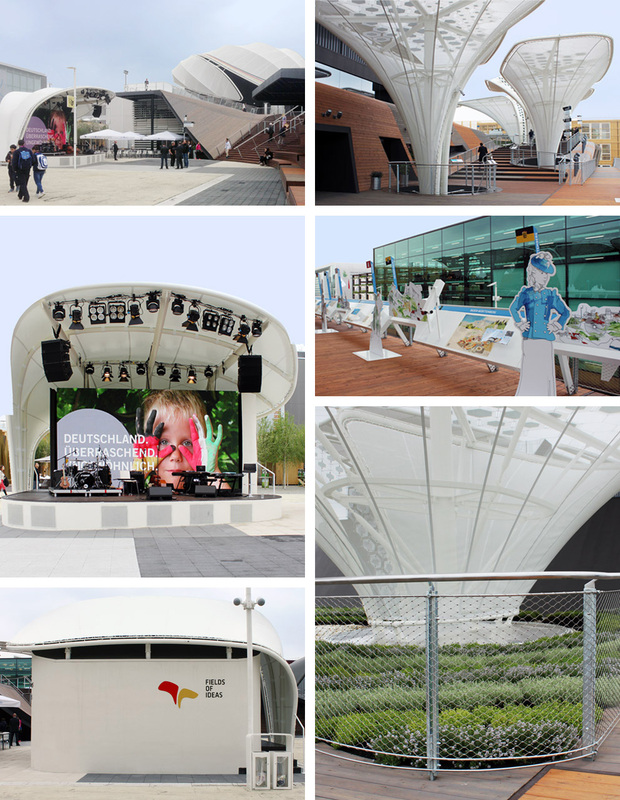 The climate in the pavilion can be changed by app (only the architect can activate it – visitors can’t). Ventilators exude a fine mist of rain, triggering oxygen production and augmenting cooling through vaporization – making for a pleasant ambient temperature in the restaurant next door – without any air/con being required. Air, precision and a love of detail – that’s actually all you need for a good Expo.